I recently viewed two videos on Now Comment, “The Secret to Great Public Speaking” and Good & Bad Examples of Oral Presentation . Anderson wanted the viewers to understand that ted talks are made for the audience to get there mind moving and open their mind into something they never knew or thought. Anderson explains that metaphors play a crucial role and that having the audience curious will have them engaged. 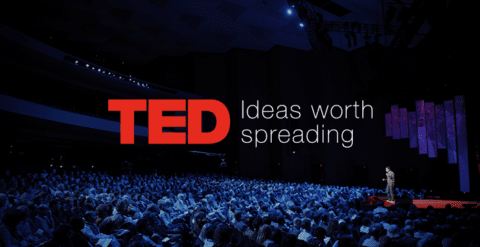 Some annotations were that I never knew Ted Talks can have a huge impacts on the audience. I understand that for a good presentation you need to practice, prepare, dress professional, and use good body language. The biggest bad to make during a presentation is looking at the slides the entire time. Speaking in front of an audience is nerve wrecking but as I keep going I get more comfortable. For example, while presenting my senior project I was extremely nervous my palms were sweating, I kept walking back and forth in the hallway, I was taking deep breaths and I was wishing so much that the computer and projector would blow up. As I kept presenting my nervousness went down little by little. Blog Discussion by Stasia is licensed under a Creative Commons Attribution-ShareAlike 4.0 International License.